Elements Slots is an action packed slot with the best bonus features! The Avalanche feature, 4 Free Falls bonuses, & a variety of Wilds will help make you a winner! 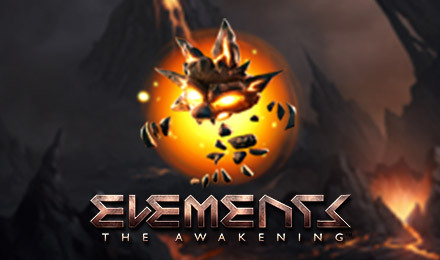 Elements: The Awakening Slots is an exhilarating slot game with stunning graphics and spectacular sound effects! Based on the four elements, you’ll find Fire, Earth, Air, and Water related graphics and incredible sound effects too! The Avalanche feature is triggered with each winning payline and you can see the symbols explode and be replaced for extra chances to win! Each Avalanche helps fill the Avalanche meter which will activate one of four Free Fall Bonus modes! Each mode features a different kind of Wild including indestructible, expanding, and random Wilds for gigantic wins!